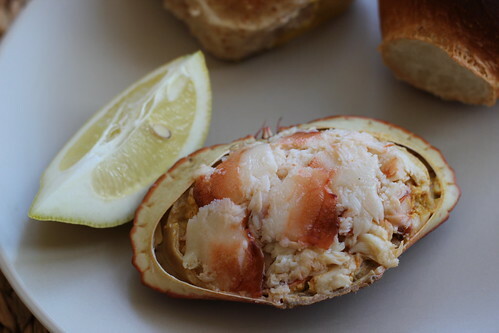 Crabs, homemade mayo and a new life by the seaside! 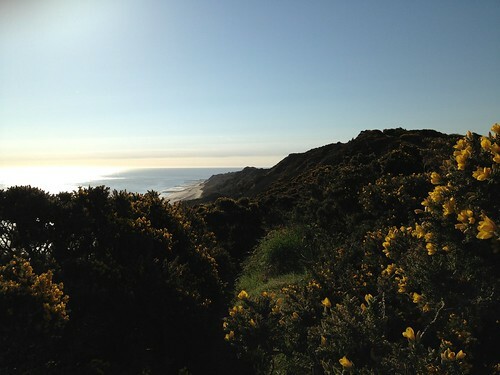 Last month I took a big life step and moved back from London to my home town of Cromer, North Norfolk. It’s something I’ve always thought about doing, so when my boyfriend Jamie got offered a job at the largest (maybe only) employer in his industry in Norwich, we decided to go for it! 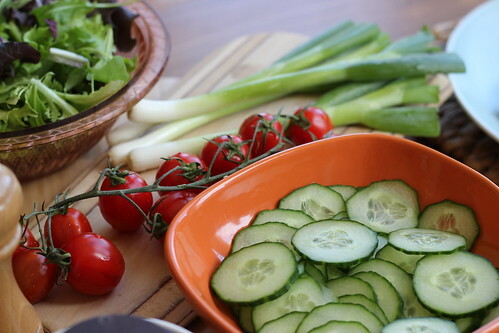 Luckily I’m still able to do work for the BBC Good Food Shows, but it does now mean I have time to develop my own business and build on my knowledge and expertise… it’s all still under development but keep an eye on www.fabulousfoodfinds.co.uk! If you didn’t know, Cromer is well-known for its crabs. They are brown crabs, smaller and sweeter than those found on the south coast and are renowned for their delicate flavour. You may have heard about the ‘Keep it Cromer’ campaign last year, when Youngs Seafood were threatening to close down the Cromer Crab Company’s factory and move the processing plant to Humberside. Despite support from local hero Stephen Fry, the Keep it Cromer campaign failed… making over 230 people jobless, and losing the town’s biggest private employer. The Cromer crab industry has quickly returned to the cottage industry it once was, stripping the likes of Waitrose’s shelves of the delicious Cromer crabs, as they are unable to supply large multiples on a national scale. So in short, your best chance of eating a Cromer crab is now by visiting Cromer and the surrounding area. It’s rather beautiful round here! Anyway, back to the crab sandwiches and mayo! Now that I live so close to my family, I invited my sister and Grandparents over for lunch during my self prescribed hour lunch break. With the weather being so cold, the crabs have been hiding under the mud at the bottom of the sea… apparently they don’t come out until the water temperature hits 7 degrees, so thankfully this warmer weather means the local fisherman have been catching. Davies’ Fish Shop on Garden Street had a good range of sizes, so I bought a ready dressed one for each of us at £3.50 each (they range between £2.50 and £5 for dressed crabs). 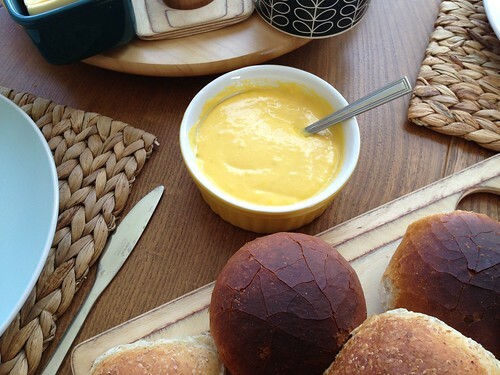 I decided to make my own mayonnaise to go with the ready dressed crabs and took the advice of Felicity Cloake who suggests how to make the perfect mayonnaise on the Guardian Word of Mouth blog. 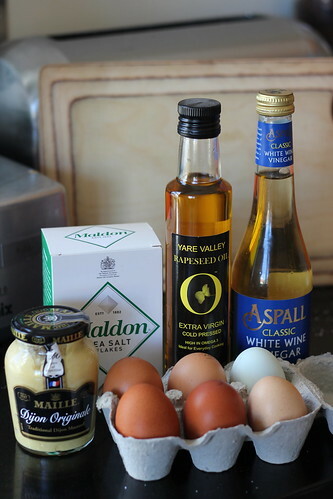 The only thing I did differently to her recipe was use only rapeseed oil (from Norfolk of course!) 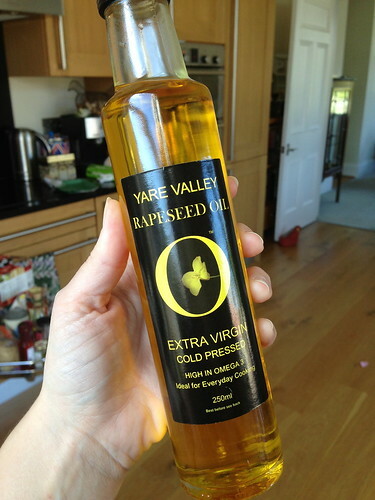 which was from Yare Valley Rapeseed Oil and gave it an almost nutty flavour, and gorgeous yellow colour. 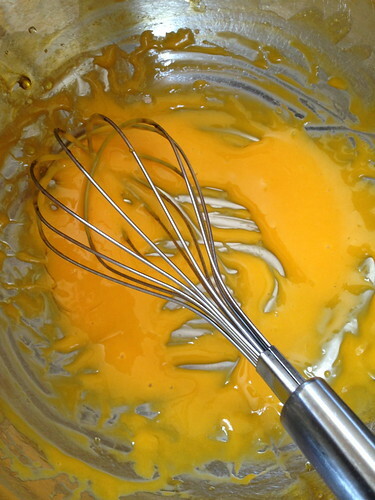 My mayonnaise sadly split, so on the advice of my dad (Geoff the Chef) I cracked a fresh egg yolk into a new bowl, whisked it up and gradually added the split mixture. It blended perfectly. I also added a crushed clove of garlic which was more than enough for a strong garlic flavour. 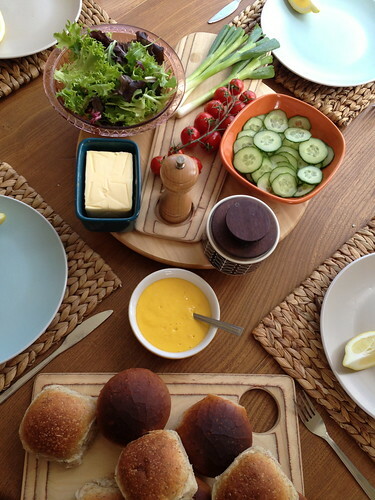 Since I’d spent far too long hand whisking the mayonnaise, I decided we would have DIY crab sandwiches and set the table up with salad, crusty rolls, butter, dressed crabs and my homemade mayonnaise. I must say, it was a splendid lunch and my Grandparents and sister loved it. The mayonnaise went so well with the crab, and I am rather partial to a slightly over cooked crusty white roll too… with lots of butter. Here’s to the first crab of many more to come! Oh, and if you’re a crab fan, try to come up for the Cromer and Sheringham Crab and Lobster Festival which is on 17th – 19th May. I’m volunteering this year so give me a wave if you see me! Just like at the end of the Titanic, when the movie flashes back to the golden good times of the glorious ship, my mind often flashes back to the days when my Grandparents owned a wonderful pub and B&B on the seafront in Cromer, Norfolk. Just like the way Rose’s memory takes us along the decks of the ship with the friendly faces of the staff greeting her, I think back to the bar, kitchen, halls and bedrooms of The Bath House, along with the various bar staff, waiters and waitresses and of course my Grandparent’s welcoming faces.